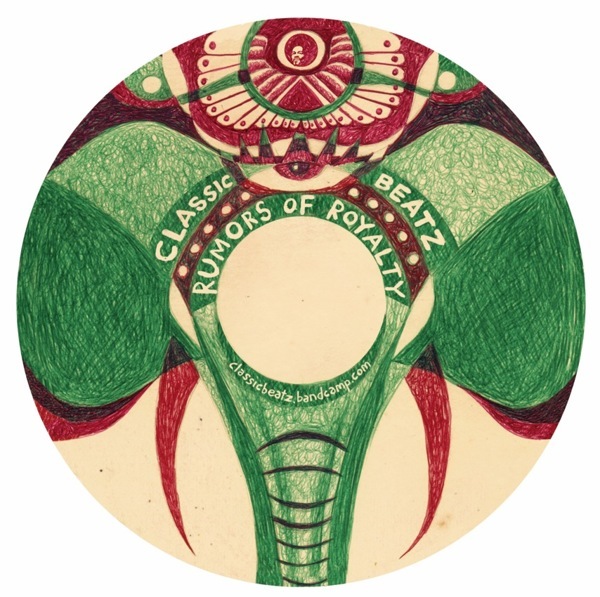 Two years and countless studio sessions after his latest release, Brooklyn based producer Jason “ClassicBeatz” Minnis presents his new album “Rumors of Royalty” (CD / digital): 9 tracks mixing funk, soul, jazz, hip hop and house music – all the influences that Jason experienced growing up in St. Petersburg, Florida. I discovered Jason’s music back in 2009 when he sent me his “Nicholas Kopernicus” project. Since then we collaborated on various projects including the beautiful duo with Lisa Preston featured on the LDBK compilation and the surprising “Romantic Reflections“. Once in a while, we call each other, discuss projects in the making, listen to demos… When Jason asked me to recommend him a singer for “In the Garden”, I immediately thought about Desta. 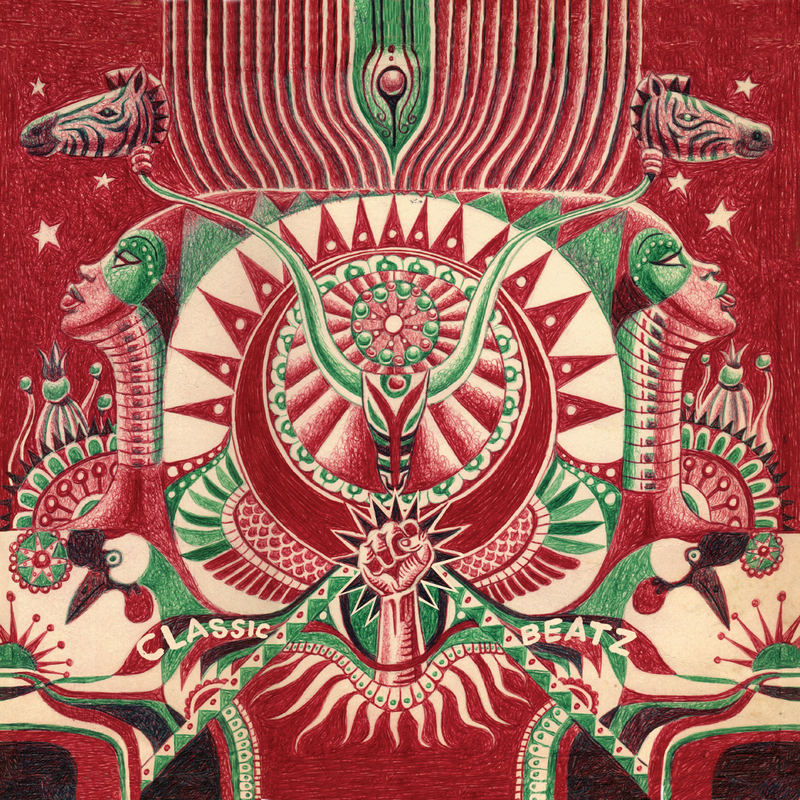 There is definitively a Laid Back feel to this track also featuring 74 Miles Away‘s flutist Stefan Bracaval. Rumors of Royalty is more of a direct representation of who I am today. It traces my influences growing up in Florida as well as all the experiences that I have had throughout the years. 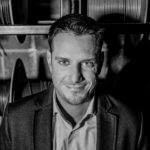 Last week I had the chance to ask Jason a few questions about his project. LDBK: Do the different genres on the album reflect the variety of music you are listening to? Jason: Yes it does. I’ve always had an eclectic taste in music and I feel that this album reflects that diversity. From a young age I had a wide variety of influences from classical to hip hop and Miami bass. As I got older I became interested in my roots and the music of the African diaspora. I feel that this album reflects that diversity. LDBK: There are some 20 musicians on your new album including Fresh Daily, Big Rube (Dungeon Family), Diggs Duke… not too difficult to work with such a large team as far as recording is concerned? Jason: Ha! Very good question. I’ve been blessed to be able to work with such a wide range of talented musicians from Atlanta, LA, Brooklyn, DC, Brussels, Germany and London. 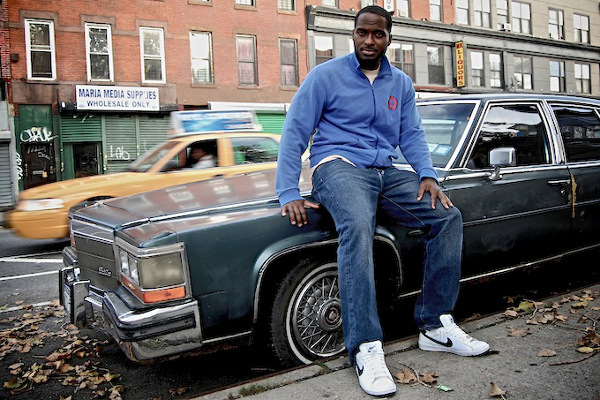 I know most of the musicians on the album personally through the local scene in Brooklyn. Most of the time they all know each other as well. My international collaborations have been seamless as well. I think the reason why it has worked so well is that I’m a fan of all the musicians that I worked with. This made it easy for me to connect with them and bring them into the vision of this project. 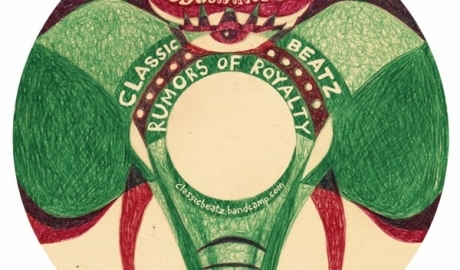 LDBK: A couple of months ago, you told me that “Rumors of Royalty” was the last part of a trilogy started with “Nicholas Kopernicus – Audiocentric” and “Ntale’s Groove“… How would you link those three projects together? Jason: Yes I do consider Rumors of Royalty the end of a trilogy. I would say the common link between these 3 projects is my exploration of the African diaspora and my own personal heritage. With Nicholas Kopernicus – Audiocentric, Seon and I wanted to make album that showed the common link between our different heritages (Seon is from Trinidad & I am African American). That project set the tone for me to explore my roots in the African Diaspora via music. Ntale’s Groove was a much more personal album. This album was a direct result of my first 2 visits to East Africa. Ntale’s Groove attempted trace to my heritage across the Atlantic ocean through music. Rumors of Royalty is more of a direct representation of who I am today. It traces my influences growing up in Florida as well as all the experiences that I have had throughout the years. 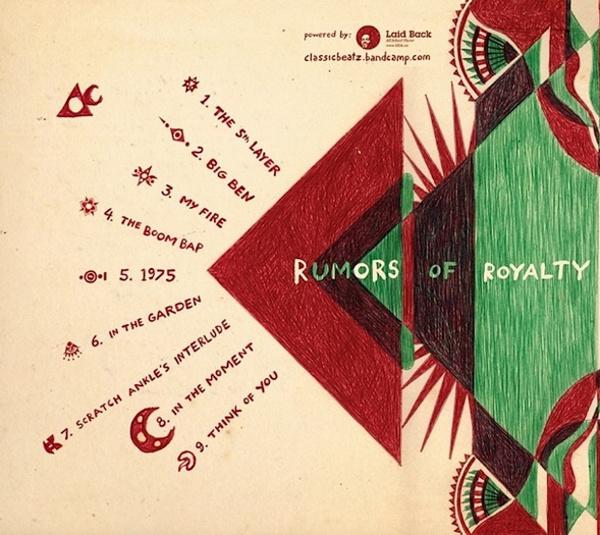 LDBK: Why this title “Rumors of Royalty”? 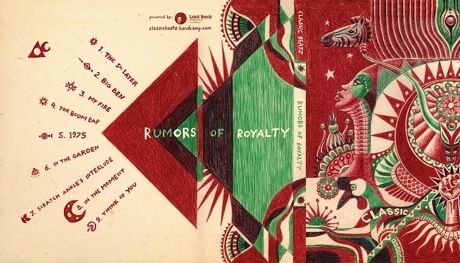 Jason: I named the project Rumors of Royalty because of the wide variety of Pan-African literature I read as a kid. Both of my parents were involved in education and civil rights in the 60’s and 70’s. Because of this I was well read on Pan-African giants like Marcus Garvey, Malcolm X and Kwame Nkrumah. From a young age I was taught that my ancestors were kings and queens. Even the lowliest slave could have been decedent from royalty back in Africa. 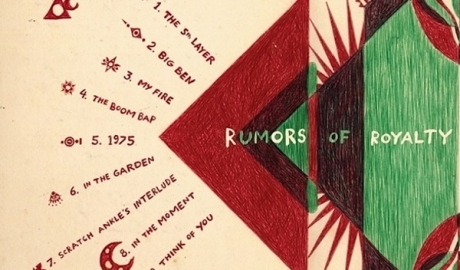 That’s why I named the album Rumors of Royalty. LDBK: The artwork has been made by a Brazilian artist. Could you introduce him? How did you hook up and collaborated on this crucial part of the project? 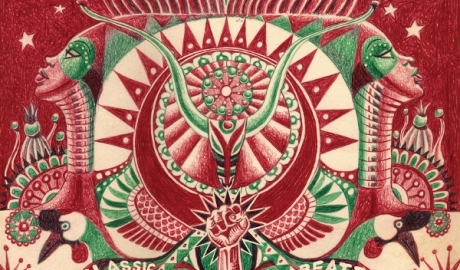 Jason: My friend Gian Paolo is responsible for the artwork. Gian is an amazing visual artist from Brazil. Ironically Gian is also a musician and our first collaboration was on a remix for Ntale’s Groove. When I first saw some of his artworks I knew I wanted to work with him. Gian has been a very important part of the Rumors of Royalty project. He created the visual representation of the music. To me the artwork has always been a very important aspect and Gian really brought the project to another level. I am very grateful for Gian Paolo’s contribution. LDBK: What’s gonna be your next project as producer? Jason: Honestly I have no idea. As a producer I think I’m going to take a little break and focus on my piano playing for a couple of months. I would love to perform some of my music live as well but I have no clear cut plans. I tend to just drift to wherever my muse takes me. Whatever happens next I will be sure to keep you posted!